Polishology: OMG! Holo polish 2NITE! After drooling on them for many weeks now, I broke down and ordered some of the China Glaze OMG! collection on the net. I was super excited to receive them and to try them out! For these nails, I used three coats of China Glaze 2NITE as my base color. Two was almost enough, and may have been enough if I had been more careful. The application was amazing, and the dry time was SUPER fast. I was very impressed. I followed by adding Konad m78 in China Glaze OMG. The result was very, very subtle. I have seen people make amazing designs with this polish, and have read several places what great stampers these polishes are. Any advice on how to stamp with these holos? Even though it was so subtle, I still really like the effect! Unfortunately it is very cloudy and rainy today, so I was not able to get full sun pictures. This loses a lot of its holo effect without direct light, but it is still super pretty and very shiny. I love these polishes, and am excited to try the other two I got, LOL and TMI. 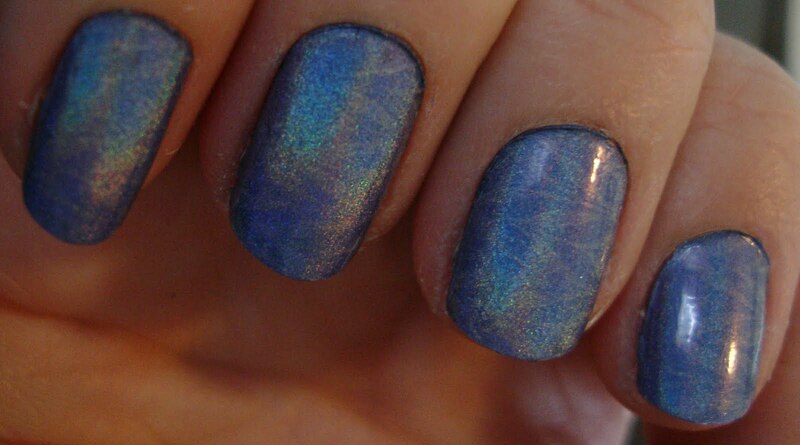 What are your favorite holo polishes? Also, please let me know if you have any advice for stamping with these! I personally only have L8r G8r from that collection. Its the only one I can find so far. But I do love the Milani holo collection. Now are you asking about stamping over or WITH the holo polishes? I personally have never tried to stamp with the holo's but I love stamping whole nail designs over the holos. 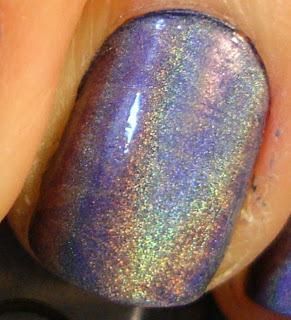 Especially ones that show alot of the holo goodness. Very pretty. I love these CG holo's. I don't have any tips using them for Konad though, I found the same as you. I have just come across your blog and am now a follower. Hands on colour - Thanks so much for following! I am loving these as well. I used TMI on my sister Becky and it is also gorgeous. aplaceformynails - Thanks! I will definitely check out your blog.